engjoy Australia is registered as an Authorised TOEIC Public Testing Centre. Everyone can apply to take the TOEIC at engjoy Australia. TOEIC tests your General Business English skills. This test is ideal for those who use or plan to use English in business or work situations, and is often requested by companies as an indicator of a candidate’s ability to use English at work. There is no pass or fail for TOEIC. Scores are given on a scale that indicates the level of ability on the test. If you have any enquiries regarding this page, please do not hesitate to contact us. TOEIC $90! TOEIC Frequent Test Program has just started! Once you’ve tested twice at engjoy Australia since 2018, the 3rd test onwards is $90! Find out more here. 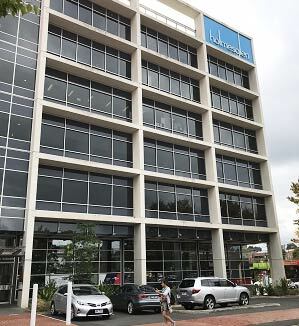 From year 2019, TOEIC Public test is held at Chadstone Campus. Public TOEIC Exams are held at a holmesglen Campus on the following dates. *Since Friday of 27 September is public holiday, we conduct TOEIC on Monday of 30 September. 2x TOEIC tests, plus the OLPC (online English learning and TOEIC preparation course). All extra tests are $90 – and you’ll get 5x Official Score Certificates of your best result. Candidates are required to bring ID(Passport) and passport size photograph, a pencil and an eraser. If you can’t prepare, we can take a photo on the day. It will cost you $5. Please fill in the form below and click “Send” after checking well. Please pay the fee into the following bank account. Please make note if you’d like to make the payment by credit card (2.75% surcharge is applied). We’ll send you the invoice via email. Your application will be confirmed when we receive the fee. Please bring your passport and passport size photo. If you can’t prepare, we can take a photo on the day. It will cost you $5. To change the test date, written notice must be given and all fees will be forfeited. Candidates will not be admitted after the test begins and no refunds are applicable. Cancellations more than 10 days prior to the test will be charged a $30 cancellation fee. With less than 10 days notice, no refunds are possible. TOEIC is a registered trademark of Educational Testing Service (ETS) in the United States, used in New Zealand under license. ※If you wish to pay by credit card, please write down “Pay by credit card”. Copyright 2019 engjoy Australia. All Rights Reserved.